Awwww yeah. Look what came in a few days ago! 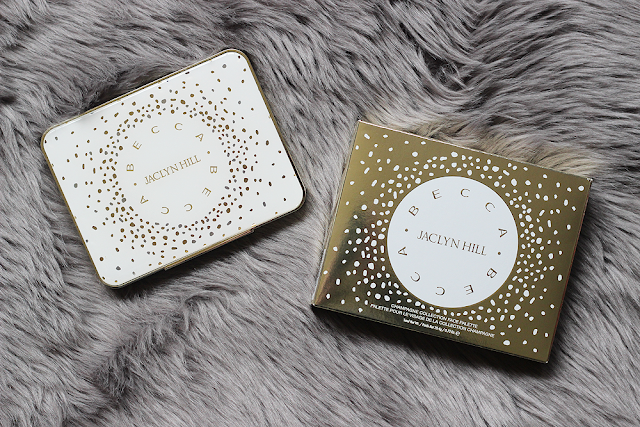 So, during the BECCA x Jaclyn Hill event in NYC last week celebrating the new Champagne Collection (the full collection launches May 26 on Sephora.com/in stores June 16th), they announced that this palette was going live on the Sephora app right then and there - and everyone lost their damn minds. Including me. The full collection contains the Shimmering Skin Perfector Poured Creme in Champagne Pop, The Shimmering Skin Perfector Liquid in Champagne Pop, The Champagne Collection Face Palette and a Champagne Collection Eye Palette (SO excited for this one!). Let's get into that packaging first! How luxe, am I right? The palette is a somewhat heavy (or rather heavier than I expected it to be!) and super sturdy. The front is Jaclyn's logo on a very luxurious white and gold background. I'm lovin' it. If you flip it over, the back is all gold with the names of the products (YES YES YES!) on it. When opened, the top half is a beautiful full mirror and the bottom holds the highlighters and blushes. 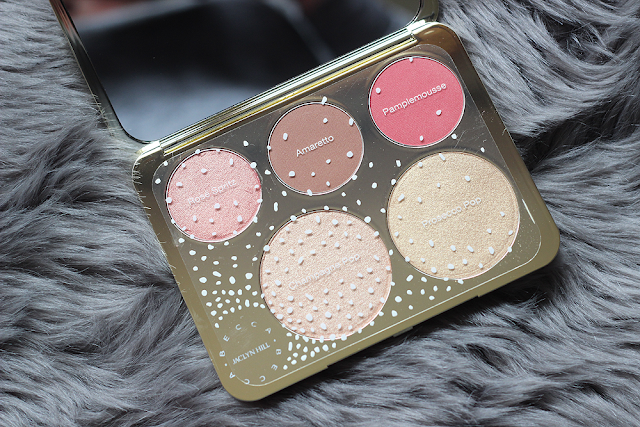 The palette includes two highlighter shades (including the infamous Champagne Pop!) 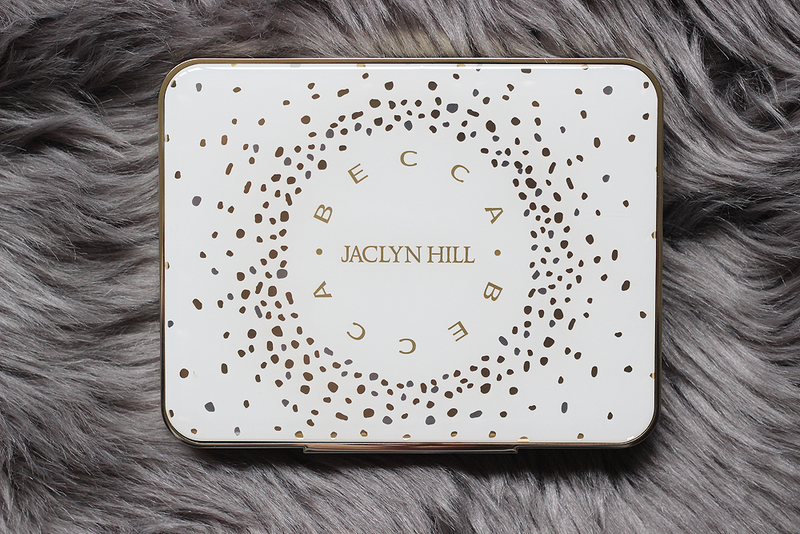 and a new highlighter created by Jaclyn, two mineral blush shades and a luminous blush shade. All five are perfect for every skin tone and contain no parabens, sulfates and phthalates. Rose Spritz (luminous blush) - is a soft peachy pink with a pale gold shimmer. 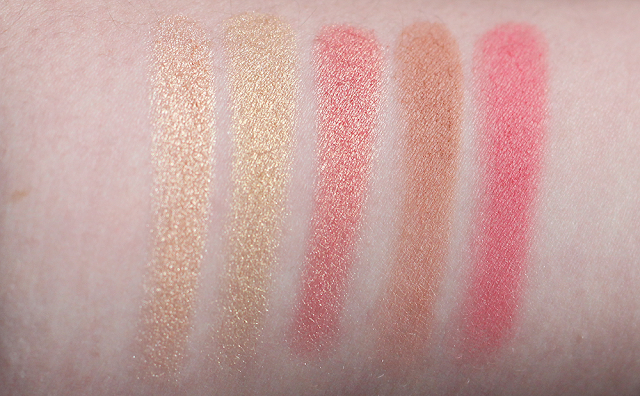 I've never tried BECCA's luminous blushes and I'm SO happy that I got a chance to try it from this palette. The consistency is so buttery soft and applies so nicely and smoothly. It is pigmented so make sure to tap lightly into it if you're going for a more natural look. Amaretto (mineral blush) - is a matte toasted almond. At first I thought Almond was a matte bronzer but it does pull slightly pink-y on the skin so it's works as a gorgeous blush as well. Totally up to you how you use it. I'm going to sound like a broken record but again, super pigmented and silky soft. Pamplemousse (mineral blush) - a matte warm coral pink. Pamplemousse (how fun of a word is that?) is the perfect pink for Spring/Summer (or really any season, for that matter) and on any skin tone. I'm obsessed! Like Rose Spritz, it's incredibly pigmented so if you're going for a lighter flushed look, use lightly! Champagne Pop (shimmering skin protector) - a soft white gold with with pinky peach undertones. 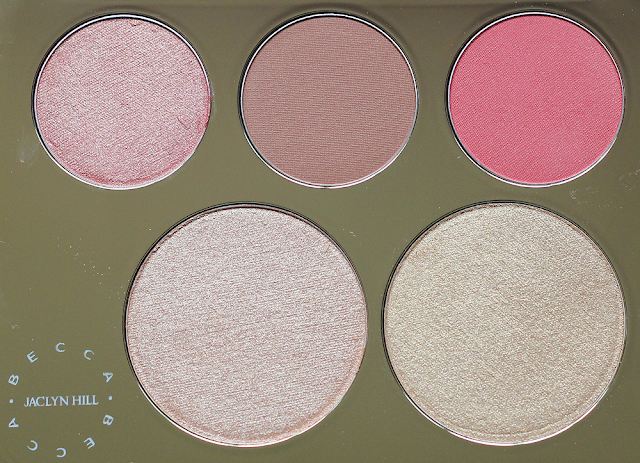 It wouldn't be the ultimate face palette if Champagne Pop wasn't in it! My Champagne Pop broke a long time ago (like, completely shattered!) so I was relieved to see a full-size sitting inside the palette. If you don't know about this highlighter, it's super pigmented and flattering for everyone. Prosecco Pop (shimmering skin protector) - a medium warm gold. Oh hey, Prosecco Pop! A little trivia for you: Prosecco Pop was inspired by liquid gold. And I'm all for bathing myself in a liquid gold version of a highlighter. Raise your hand if you're with me! It doesn't pull incredibly gold on the face which was worrisome for my pale skin but it was actually pretty flattering and looks gorgeous layered over Pamplemousse! Overall: I don't even have the whole collection and I'm pretty sure this Face Palette is going to be the hot item! It contains five incredibly pigmented and stunning shades for all skin tones! Looks like a nice face palette.